Last week, we launched our dating app, Ship, designed to make dating fun again. Ship allows you and your friends to combine forces, so instead of dreading dating apps, you can get the whole group finding matches for each other. If you haven’t already downloaded the app and started Shipping for yourself and your friends, now is the perfect time. There are more matches than ever out there waiting, so here’s exactly what you need to know to get the most out of the app. One of the best things about Ship is that it’s not just for single people. If you’re in a relationship, you can still download and find matches for your single friends. When you open the app for the first time, you’re immediately asked if you’re single or in a relationship, and your experience is customized from there. If you’re single AF, your entire app interface is purple, but it turns teal if you’re in a relationship. No confusion here, so you don’t have to feel weird about your s/o seeing a dating app on your phone if you’re in a relationship. Also, if you’re not single, your profile is just a pic so the people in your crew know who are, so you don’t have to overthink which photos make your arm look skinny. Praise be. If you’re single, this is your time to shine. You’ll be prompted to set up your profile, and then you can invite friends to join your crew. Your crew page is split into two tabs–chat and activity. The chat tab is like your group text, except you no longer have to worry about taking screenshots and sending them to the wrong person. You can send profiles to your group and discuss right in the app, making it easier than ever to get feedback from your friends. The activity tab is where you can keep track of any new matches and see who your friends have been choosing for you. You can see who’s responsible for each yes or no, so you can really tell who’s putting in the work and who’s just here to talk sh*t.
When you’re matching for yourself, you’re the one calling the shots, but you can still get some help from your crew. If you want more input on a profile, you can easily send it to your crew, either before you make a decision, or after you match. Your friends probably know you better than you know yourself, so they’ll give you the feedback you really need. Finding matches for yourself is great, but Ship also lets you do a good deed and help out your friends. At the top of the Discover page, there’s a box where you can easily switch between all of your single friends on the app. 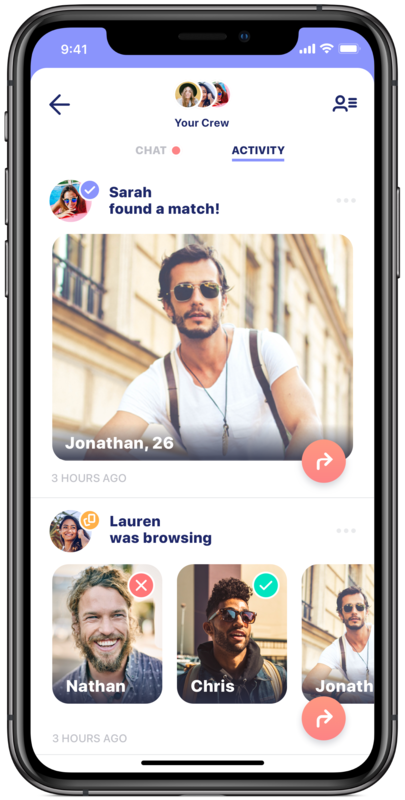 The profiles will automatically adjust to meet their preferences on location, age, and gender, so you can start finding great matches for them right away. Going through the profiles works the exact same way when you’re matching for someone else, except you don’t have to worry about whether to message them first later. You can also send profiles to the crew of whoever you’re matching for, so you don’t make any questionable matches. You wouldn’t find a date without asking your friends if they looked good with you first, right? Right. 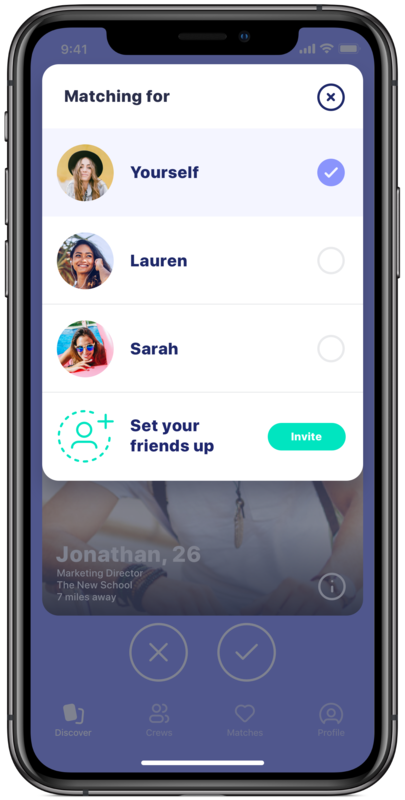 Whether you’re the single friend who loves to be a social butterfly, or the married friend with too much time on your hands, Ship makes it easy to find matches for all your friends. 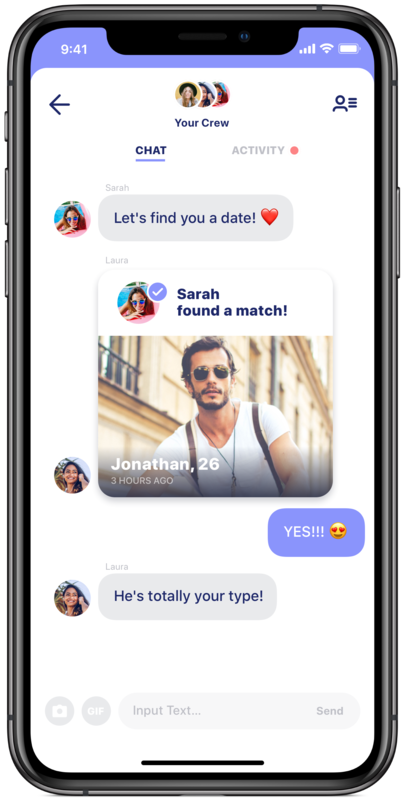 Ship is available in the App Store, so download it now so you and your friends can finally start having fun with dating apps.